To create and sustain an academic environment that permits students to freely express concerns or reveal complaints about their education and the educational process and to have their concerns and complaints addressed swiftly and forthrightly. Students enrolled at Jackson State University may register a concern or complaint about any academic regulation, the instructional program, delivery of the program, grades received, the academic advisement system, or any other matter related to academic affairs, without any adverse action for expressing the concern or filing the complaint. Concerns and complaints will be received, explored or investigated, and responded to in a fair and timely fashion, though students should understand that the final response by the University may not always be the response they prefer. Student discusses concern or complaint with the instructor. Instructor provides a response (allow up to 5 days if investigation is required). Complaints unresolved by the instructor or for which the response is unacceptable must be described in writing by the student and submitted to the department chair. The chair properly logs and investigates the matter and provides a written response to the student within ten days. Issues that are still unresolved must be submitted by the student to the school/college dean. The dean provides the final written response within ten days, which may be done with committee input and/or in consultation with higher level administrators. The advisor provides a response (allow up to 5 days if an investigation is needed), or refers it to the appropriate official/body, e.g. department chair or Academic Standards Committee, for response within 20 days. The appropriate official/body returns the response to the advisor and the advisor returns it to the student. Unresolved concerns or complaints must be submitted in writing by the student to the school/college dean. The school/college dean provides a written response within ten days, which may be done with committee input and/or in consultation with the Vice President for Academic Affairs and Student Affairs. If the complaint remains, the student will submit it to the Vice President for Academic Affairs and Student Affairs for a final response. NOTE: Academic complaints dating back more than a semester generally will not be investigated. If the student has exhausted all available internal grievance procedures established by JSU and remain unsatisfied, he/she may file a complaint with the Mississippi Commission on College Accreditation using the MCCA Student Complaint Form. Students may also file a complaint with their state/territory of residence. 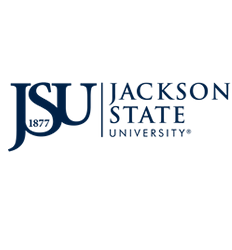 Please visit the JSU State Authorization website for more information about filing a complaint with your state.